My wife asked me what I wanted for my birthday, and I told her that I’d be happy as long as there was cake. What I GOT was, well, a pretty princess cake. 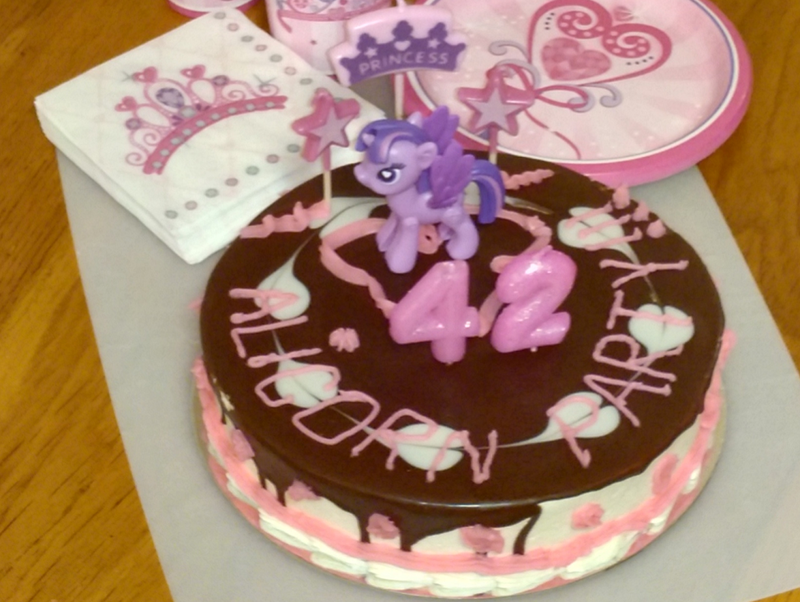 Possibly the prettiest, princessest cake ever presented to a full-grown man.